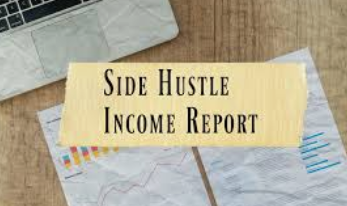 I originally intended for this side hustle extra money report to be monthly but clearly I failed. My only one so far is from September 2018 when I made almost $1,000 in extra income. I started this blog as a personal journal because I went through some of the dumbest financial mistakes possible most notably defaulting on my $77,000 student loan debt. Along the way my hope is that this blog will encourage and inspire others. I enjoy my full time job and have do not have any plans to leave. I make a good annual salary, I enjoy my team and the company culture, and I am still learning and strengthening my soft skills such as leadership, presentation, and communication especially with senior and executive leadership. I have zero expectations on relying on this blog or any of my side hustles to allow me to leave my full time job nor is it an ambition. My side hustles are a way to get closer to being debt free and financial independence. In September 2018, I made a total of $954.50 in side hustle income. In October I took a vacation, went on a couple business trips, and did not do my blog justice and really write much. I will breakdown each of my side hustles. Consulting opportunity comes and goes. Luckily this does not interfere with my current job. I am taking whatever consulting opportunities come to me. I have so much fun helping others win and succeed. I absolutely enjoy consulting. 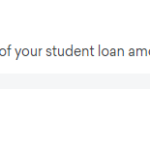 In November 2018, I made $275 in this category. This is ($69.50) from September. I actually did not offer any kind of rate, rather, the people who reached out to me told me how much they would pay. This specific consulting is leveraging my expertise in digital marketing ranging from SEO, paid search/SEM, programmatic media (display), social media, and affiliate marketing. 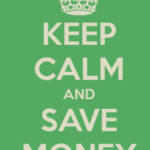 If you are interested in consulting services, my hourly rate is always negotiable. Contact me here. 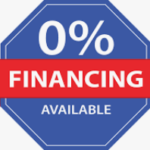 I have worked in the financial services industry for a major credit card issuer for more than a decade and started consulting every month. The topic is around credit card marketing from acquisition to lifecycle and retention. In November 2018, I made a total of $380 in this category. This is +$100 from September. This is an area in which I do not expect much. Whatever comes my way as an opportunity, I will explore. I have a few sites that I built, but they really do not make anything at all. Basically I make nothing from ads so all of the money is from other blog related services. In November 2018, I made a total of $6.78 in this category. Sports cards have been my main side hustle for a long time because I genuinely have fun talking to buyers and sellers and reliving my childhood memories. I also thrift shop and started this year when I needed something productive to do while going on business trips. All the cities I visited had one thing in common, they all had thrift shops and there was always a variety. In November 2018, I made a total profit of $0. I sold more than $3,000 worth, but I bought new inventory with all this money.